Mount Sinai Medical Center hosts its health lecture series with “Lung Cancer Screening and Therapeutic Options.” Thoracic and Cardiovascular Surgeon Fernando Safdie will be the guest speaker. 11 a.m.-1 p.m. Aventura Community Center, 3375 NE 188th St. Details: https://bit.ly/2Aeu580. The Pérez Art Museum Miami presents “Scholl Lecture Series: Liliana Porter.” Artist Liliana Porter will detail one of her most ambitious projects to date, “El hombre con el hacha y otras situaciones breves – Venecia 2017,” currently on view at PAMM. 6 p.m. 1103 Biscayne Blvd., Miami. Details: https://bit.ly/2suQj1o. Leigh Bardugo makes a stop at Coral Gables Congregational Church to promote her next adventures in the Grishaverse “King of Scars.” 6:30 p.m. 3010 De Soto Blvd. Details: https://booksandbooks.com/event/leigh-bardugo/. The Miami Beach Botanical Garden hosts “Taste of the Garden: An Evening of Culinary Delight.” Stroll through Miami Beach’s tropical oasis sipping on cocktails and mingle with the chefs who have secured a Miami’s spot on the culinary map. 6:30-9:30 p.m. 2000 Convention Center Dr. Details: https://bit.ly/2TP38Pz. 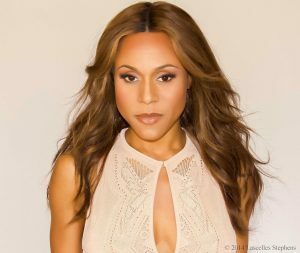 Arsht Live at Seaspice presents “Deborah Cox.” This concert will chart new territory and give you a behind-the-scenes look into Deborah Cox’s latest collaboration. 7 p.m. 422 NW North River Dr., Miami. Details: https://bit.ly/2CnJwe6. The Miami-Dade Gay & Lesbian Chamber of Commerce hosts its young professional network social mixer. 7-9 p.m. Hotel Croydon Miami Beach, 3720 Collins Ave. Details: https://bit.ly/2FzxtOg. The French-American Chamber of Commerce hosts its French dinner. 7 p.m. Miami Shores Country Club, 10000 Biscayne Blvd. Details: https://bit.ly/2CmXYDj. The Wynwood Business Improvement District, Miami City Ballet and Miami Light Project present “Poetry in Motion,” an evening of classical and contemporary ballet choreographed by the Miami City Ballet School’s pre-professional students. 7:30-10 p.m. The Light Box at Goldman Warehouse, 404 NW 26th St., Wynwood. Details: https://bit.ly/2HdLOSX. O Cinema Wynwood screens “Vice.” 7:30 p.m. 90 SW 29th St. Details: https://www.o-cinema.org/event/vice-2/. The Broward Center for the Performing Arts presents “Sinbad.” Ranked by Comedy Central as one of the “100 Greatest Stand-ups of All Time,” actor and comedian Sinbad has had audiences laughing for over three decades. 8 p.m. 201 SW Fifth Ave., Fort Lauderdale. Details: https://bit.ly/2RWd6S9.